A thrilling art heist escapade infused with European high culture and luxury that doesn't shy away from the darker side of human nature. Johann Friedrich von Allmen, a bon vivant of dandified refinement, has exhausted his family fortune by living in Old World grandeur despite present-day financial constraints. Forced to downscale, Allmen inhabits the garden house of his former Zurich estate, attended by his Guatemalan butler, Carlos. When not reading novels by Balzac and Somerset Maugham, he plays jazz on a Bechstein baby grand. 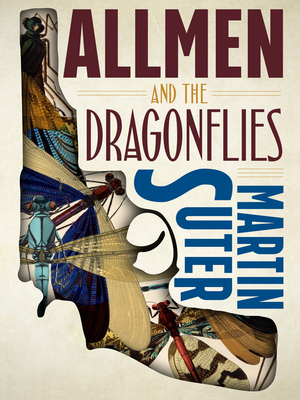 Allmen's fortunes take a sharp turn when he meets a stunning blonde whose lakeside villa contains five Art Nouveau bowls created by renowned French artist mile Gall and decorated with a dragonfly motif. Allmen, pressured to pay off mounting debts, absconds with the priceless bowls and embarks on a high-risk, potentially violent bid to cash them in. This is the first of a series of humorous, fast-paced detective novels devoted to a memorable gentleman thief who, with his trusted sidekick Carlos, creates an investigative firm to recover missing precious objects.